Park Districts in Park River and Drayton in securing funds from the latest funding round of the North Dakota Outdoor Heritage Fund (OHF) for the construction of RV Parks. Park River Sports Complex is a 40-acre project that will begin with the construction of a 20-site RV park. The site is located on the eastern edge of Park River with access from Highway 17. The OHF application included a funding request to also support the construction of a new baseball diamond complex, which was not funded at this time. The RV park portion of the project was awarded $230,000 from OHF. 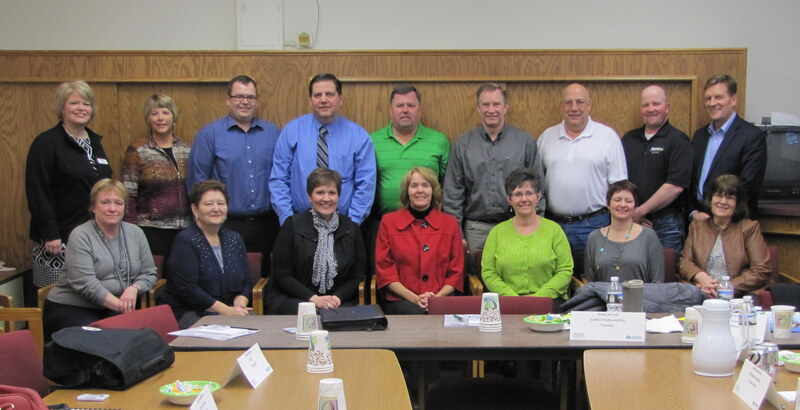 Kyle Halverson, Park District President, presented to the OHF Advisory Board on September 5 in Bismarck. Drayton RV Park is a 20-acre project that will include the construction of a 70-site recreational use campground. The site for this new campground is on the north edge of the City near the I-29 exit. American Crystal Sugar Company has donated $110,000 for the development and expansion of the new campground. The campground received $125,000 from OHF with a total project cost of $453,000. Ross Lambert, Park Direct Vice President, presented to the OHF Advisory Board on September 5 in Bismarck. Directive D – Conserve natural areas for recreation through the establishment and development of parks and other recreation areas. The next OHF application deadline is November 1. Applicants must be a State Agency, Political Subdivision, Tribal Entity or a Tax-exempt, nonprofit corporation. If you have a project that you believe fits one of these directives and would like assistance in writing the grant, contact Jolene at 701.352.3550 or jhalldorson@nd.gov for more information. At its September meeting, the Board of Directors adopted the 2014 to 2019 Region IV Comprehensive Economic Development Strategy (CEDS). The CEDS is a regional strategy document that includes in-depth economic and demographic analysis, identification of economic development problems, opportunities and scenarios; and strategies to be executed by both the RRRC and regional stakeholders and partners. “We have to undertake the development of a new CEDS every five years,” said Dawn Keeley, RRRC Executive Director. “With this CEDS, we used it as an opportunity to fully understand the issues and opportunities within each of our four counties.” The strategic planning efforts were kicked off with a public presentation of an economic and demographic analysis completed and provided by Dr. David Flynn, University of North Dakota Bureau of Business and Economic Research. Dr. Flynn presented his analysis at a public meeting on March 20. The RRRC undertook an extensive planning process to support the development of the CEDS including the establishment of a county Strategy Committee within Grand Forks, Nelson, Pembina, and Walsh Counties which led the development of county-level strategic plans. The Strategy Committees met in April and July 2014 to complete identifying strengths and weaknesses as pertaining to 25 different economic and community development strategies. 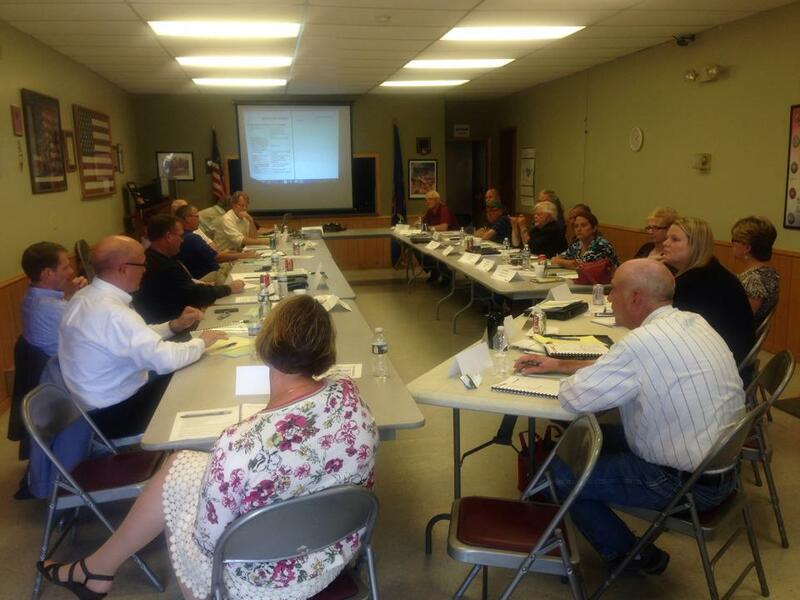 Additionally, each Strategy Committee discussed Quality of Life issues and opportunities. The 1.5 day planning sessions with each Strategy Committee concluded with drafting an Action Plan. The RRRC licensed the Building Communities, Inc. software to complete the planning sessions which were facilitated by Cheryl Osowski. 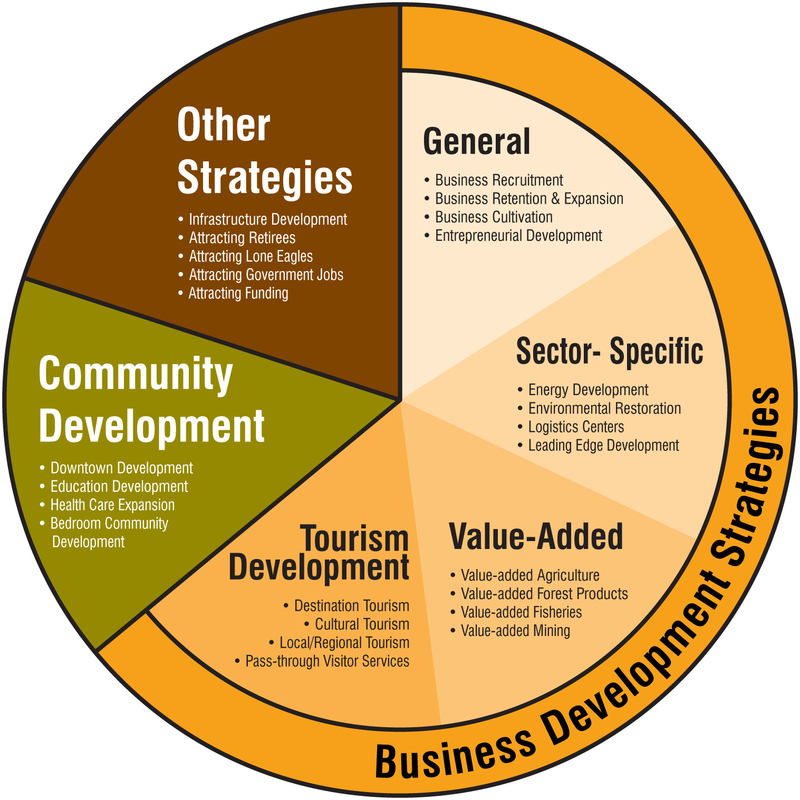 The four county strategic plans were the foundation of the Region IV CEDS. The Regional Strategy Committee included members from each county Strategy Committee, RRRC Directors, and community leaders and business owners from throughout the region. The Regional Strategy Committee reviewed a draft regional CEDS and provided feedback at a meeting in August at the RRRC. The CEDS is a requirement of the RRRC’s annual Partners in Planning grant from the US Department of Commerce Economic Development Administration (EDA). Due to a September 30, 2014 deadline to complete, adopt, and submit the CEDS to EDA, the County Strategic Plans completion was delayed and the Strategy Committees will be meeting in November 2014 to review draft plans and complete. More than 250 people participated in the CEDS development including the four County Strategy Committees, Town Hall participants, Regional Strategy Committee, and the RRRC Board of Directors. The economic development strategic planning efforts were funded and are being development in partnership with the Nelson, Pembina, and Walsh County Job Development Authorities, Grand Forks County, City of Grand Forks Office of Urban Development, Grand Forks Region Economic Development Corporation, Red River Regional Council, ND Department of Commerce Division of Community Services, US Department of Commerce Economic Development Administration, and the US Department of Agriculture Rural Development. For a copy of the CEDS, click Final CEDS 9-26-2014. The RRRC has released its 2004 to 2013 RRRC Summary for the period 2004 to 2013. The Summary provides a summary of the number of projects and financial impact of these implemented projects within the region over the past decade. In spring 2014, the RRRC staff research and created a master list of all projects that were completed in all of the areas including infrastructure, housing rehabilitation, business development, riparian restoration, historic preservation, disaster mitigation and recovery, fire department grants, and the Walsh and Pembina County Half Mill Programs. In total, the RRRC staff provided assistance to 1,314 projects and consulting clients in the past decade. These projects resulted in over $124 million invested within the region of which the RRRC assisted with securing and funding $34 million. 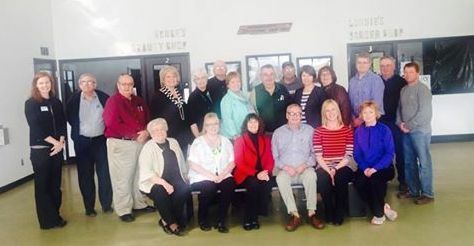 "I'm very proud of the work completed by the RRRC staff and Board of Directors," said Dawn Keeley, Executive Director. "We want to be a valued partner in the region to provide ongoing technical assistance to our rural communities in particular." The regional counties provide approximately 10 percent of the RRRC revenue budget and over this 10 year period, this amounted to approximately $600,000 in county dues revenue. The remaining 90 percent of the RRRC revenue budget is derived from cooperative agreements, fees for services, and grant administration. The RRRC provided assisted in providing assistance to returning $55.75 for every $1 in County dues - a 5,575% return on investment.